The Subtraction Fact Fluency Pack is filled with motivating ways to practice subtracting 0 to 10. 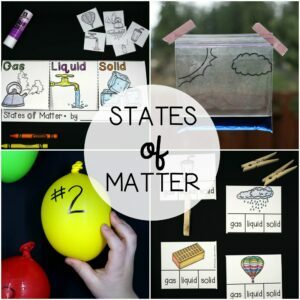 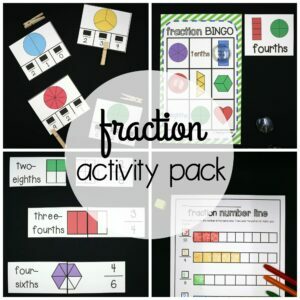 They’re great to use as no prep math centers, games, homework and sub activities. –> Subtraction Race // Spin the fact and graph the difference. 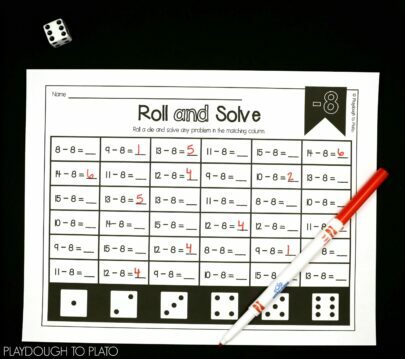 –> Roll and Solve // Roll a die and solve a problem from the matching column. 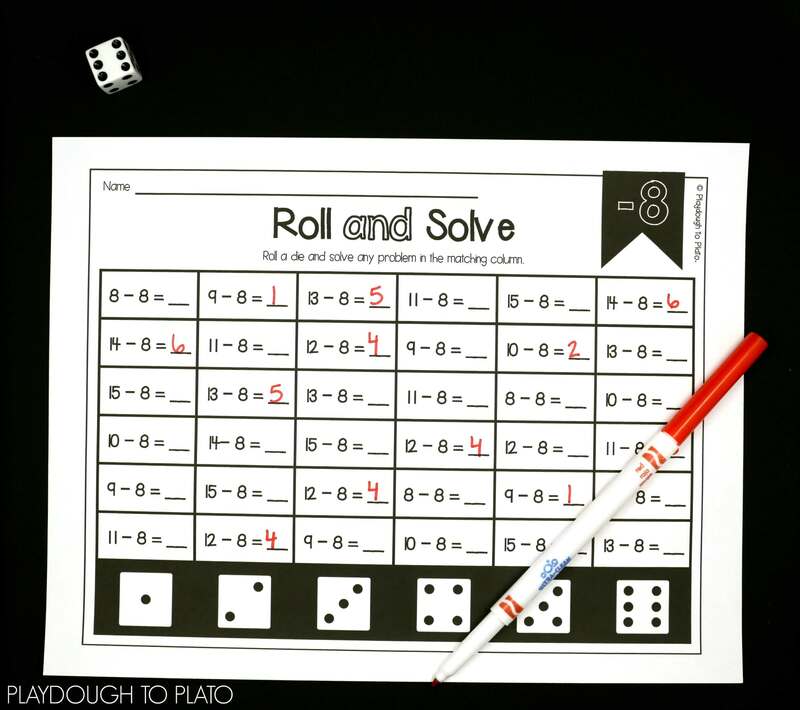 –> Tic Tac Toe // Challenge a partner to solve three facts across, down or diagonally first. 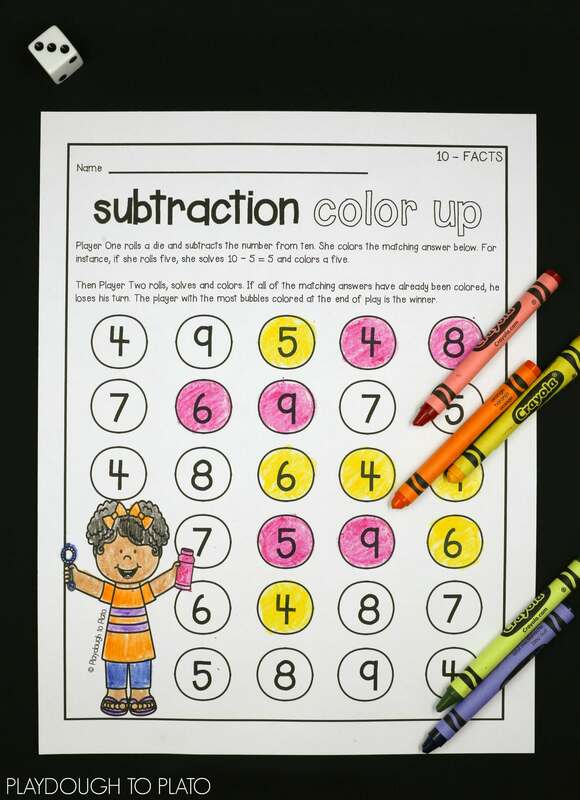 –> Subtraction Color Up // Roll a die and color the matching answer. 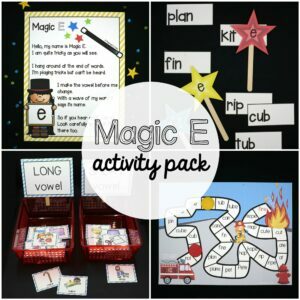 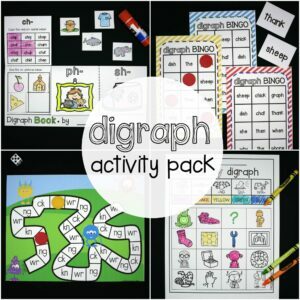 The activity pack makes it so easy to differentiate for a variety of learners. 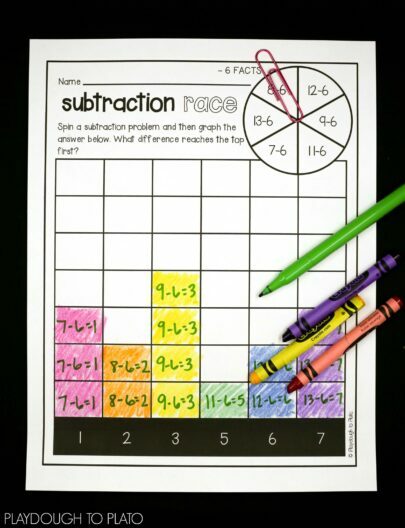 Have kids start on their -0 facts and work their way up one page at a time or, for students who are ready for an extra challenge, give them larger problems like -7 or -10. 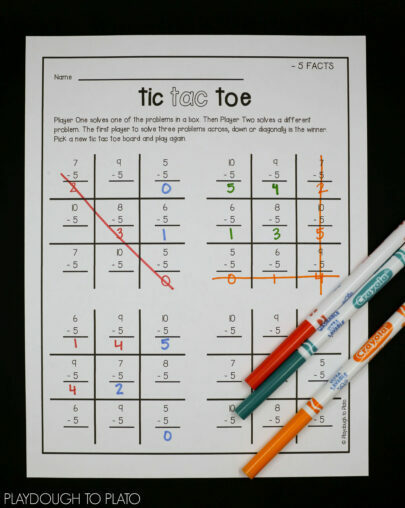 Then have them work on the review pages to cover all of the facts at once. 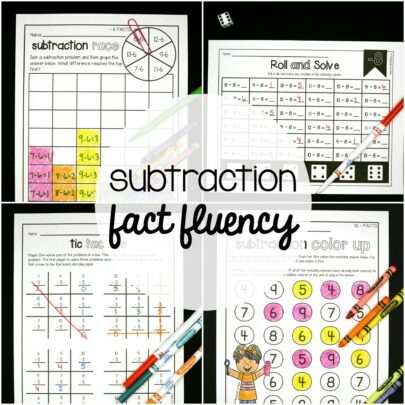 Make it fun to memorize addition facts to 10 with our popular Addition Fact Fluency Pack!